The Bob Ross Wet-on-Wet Technique relies on a product called Liquid White. It is used as an underpainting that allows your oil paints to blend thoroughly and produces a lovely richness to the painting's color. There are other products and techniques that allow you to produce this wet foundation as well and they all have their advantages. None is necessarily better or worse, it simply depends on your style of painting, the look you want in your work, and the materials you're working with. Underpainting with Liquid White simply means that you add a layer of the medium onto your canvas before applying any paints. This produces a different effect than painting wet-on-wet with color and it takes some extra time, but the results are worth it. To do the technique, you "wet" the canvas with a covering of either clear medium (Liquid Clear or Magic Clear depending on brands) or white medium (again, Liquid White or Magic White). You then work the initial layers of pigment (your paint) into the medium. Because of the medium, the paint goes on very fast, very loose, and you need very little. It is considerably different than using oils on a dry canvas. The idea is to finish a painting in a two- to three-hour session before the surface begins to dry. 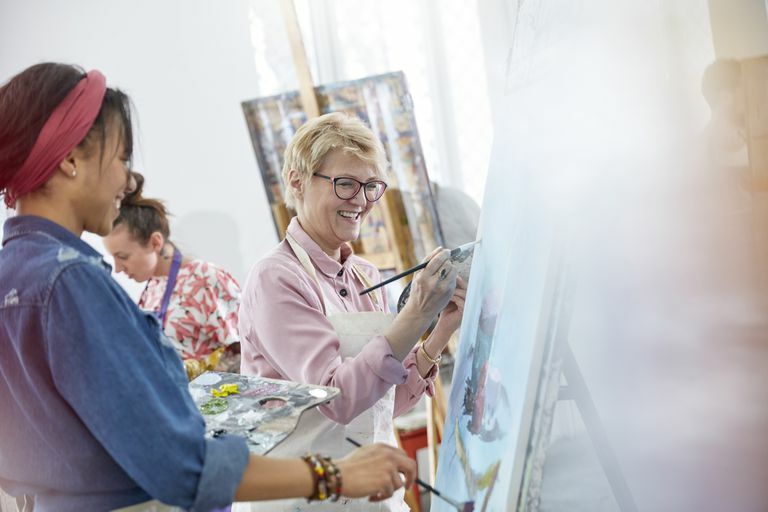 Due to this, it lends itself well to classroom instruction, plein-air painting, and similar scenarios when you want to produce a quick painting. When using Liquid White, it will lighten and mute the pigments as they are applied. For instance, red paint may be slightly less vibrant—even leaning toward pink—then it is straight out of the tube. This can really make a difference and is helpful for creating beautiful blue skies. On your wet canvas, you can apply the pigments at full strength in the upper and outer corners. As you work your way into the horizon, you can then apply less pigment or pigment mixed with the medium to obtain the natural gradient we see in real life. Many artists struggle to achieve this subtle gradation with oils. It's a thick paint, but when a medium like Liquid White is employed, it becomes much easier to blend the colors together. In the end, your sky looks much more realistic. The same is true when you start applying distant trees, mountains, or whatever. As you work each color, the painting underneath is still wet, so the next layer will, again, be slightly muted. Subsequent layers can be added in slightly darker amounts as you continue to develop the details. You can also mix Liquid White directly into your paint on the palette or apply it as a highlight on the canvas itself. If you watch enough Bob Ross videos, you'll quickly notice how often he relies on Liquid White. If you are going for that signature smoky-mountain effect so prevalent in landscapes, these techniques are perfect. You can always allow the painting to dry and return to it once those first layers have firmed up. At that point, dry brushing in the remaining details adds a nice touch. If that's not enough, you can also tint the canvas with Liquid White by mixing some pigment into it while applying the underpainting. It's a fantastic way to add a pink tint, for instance, behind a Monet-style lily pad pond. All the colors on top will be softer and slightly blushed. Can Liquid White Be Used With Acrylics? Liquid White is formulated for oil paints and will not give the same effect when working with acrylic paint. However, there are a number of slow drying acrylic mediums that you can use to mimic Liquid White. Some artists will also mix a small amount—about 10 percent—of liquid retarder with gesso to create an underpainting that stays wet longer. The point is that you do have options, but it is best to stick with products that are designed for acrylics.